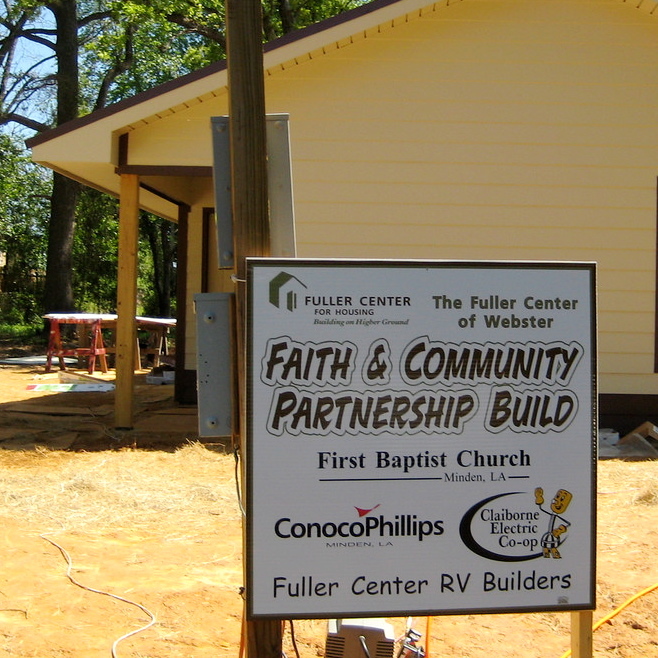 The Fuller Center Faith Builder’s program is now enabling churches interested in improving their communities to do Greater Blessing repair projects without starting a full-fledged covenant partner. This unique program cuts down on time and paperwork by allowing congregations to sign up as a Faith Builders partner and get to work immediately identifying and helping families in need. "The church is at the heart of the success of the Fuller Center for Housing," said David Snell, President of The Fuller Center. "We are proud to call ourselves a servant of the church and seek partnerships with congregations and denominations that help get houses built but that also strengthen and edify local churches. We look forward to working with … congregations to do what Jesus taught us: to love and take care of one another." The Fuller Center recently created a partnership with the Cooperative Baptist Fellowship (CBF) that seeks to support, spread the word about and take advantage of this innovative, one-of-a-kind service program. The CBF will initiate conversations with its member congregations that are seeking to find ways to impact their world by finding local projects and promoting mission service trips. "The Fuller Center is a valuable partner in assisting fellowship churches and individuals in this calling. Home ownership and comfortable, safe living conditions contribute mightily to breaking such cycles as poverty, high school drop out rates, illiteracy, and family break ups," said Dr. Harry Rowland, Director of CBF Missional Church Ministries. "The Fuller Center provides a Christ-centered, time-proven, customizable model and expertise to assist churches in ministering in their local communities. CBF is excited about joining hands and spirit with FCH as together we enter community after community as the presence of Christ." Churches are encouraged to work with their local Fuller Center covenant partner (search here). If none is available, The Fuller Center will provide technical guidance for organizing, funding and completing stand-alone projects. Interested congregations should visit our Faith Builders page to learn more and explore our resources, or contact Kirk Lyman-Barner with your questions. To sign up your church, please click here. To learn more about our Greater Blessing repair program, please click here.